Today I read an article on the Back to School Do’s and Don’ts written by By Jerry Bubrick,PhD. He is the Senior Director, Anxiety and Mood Disorders Center; Director, Intensive Pediatric Obsessive-Compulsive Spectrum Disorders Program. Here are some of his suggestions from the article. Get back into a routine. Change your child’s bedtime from 11 pm to 9 pm. Start waking up your child at school hours. Once they are awake, have your child complete the normal school routine: shower, dress, and eat breakfast. At night, the author suggests limit screen time. All screens should be off one hour before bed time. In addition, Dr. Bubrick states parents should Shop for school supplies earlier rather than later. The most important part of the day is to make sure your child fuels their body. Dr. Bubrick says we should be more aware of meals. Why is this important? Dr. Bubrick gave an excellent example. If your child ate at 1pm and doesn’t get home until 5pm, then he/she maybe ravenous and unable to focus on homework. In order to focus, your child will need a healthy snack and then after about an hour your child will be better able to focus on homework. Dr. Jerry Bubrick suggests doing a trial run in order to get off to the right start. He feels, especially for the child who is very anxious, take a drive by the school, walk into the building and allow the child to become acquainted with the smells and sounds. In addition, map out the classes and know where the locker is located. As a parent, he suggests not to be afraid of set backs. He feels parents and the child need to “Temper your expectations.” The expectation of the first days being stellar is not realistic. It is important to let kids ease into it and have ups and downs.Remember as a parent, every two steps forward there is one step back. As parents, it is important to help kids manage their commitments. Furthermore, it is important for the kids to balance their lives so that they are not coming home at 9pm and then starting homework and then off to bed at 11pm. Dr. Bubrick believes this leads to depression. He feels children over commit themselves with activities. It is our job as their parents to show them how to balance. One of the most important things to remember is that you are your child’s best advocate. If you see a problem but the school hasn’t contacted you, you contact them. Well Nolan had his first day as a high school student. Now, I understand that it is just orientation but I was excited for him. He found a familiar face and off he went with a smile on his face. I was less excited realizing that I am the mother of a high school student. Stay tuned for new posts during the year. I also have a new book I am reading too. The book is called Look Me in The Eye by John Elder Robison. It might take me a while to finish but I will share some interesting tidbits as I read. From there, he began making his own breakfast. The breakfast mostly consisted of scrambled eggs. However, just the other night, his friends slept over and all three boys worked feverishly on dessert. 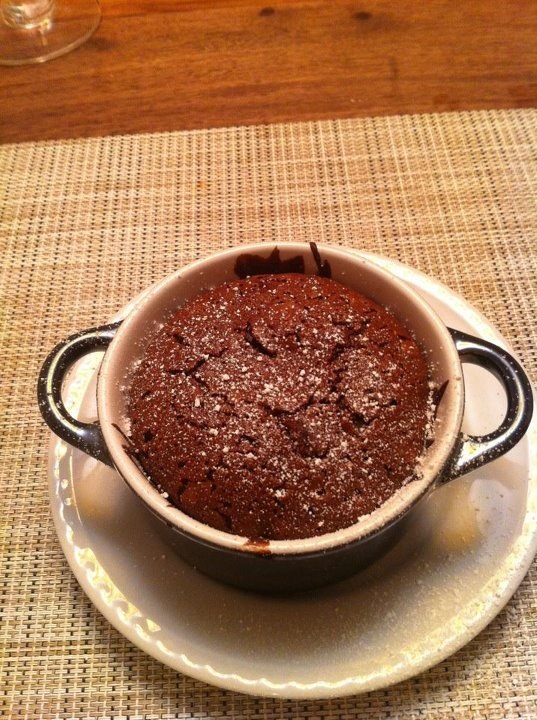 It was a molten chocolate lava cake. It was delicious. Here is their photo. This cake took many steps. First the boys had to melt the two kinds of chocolate and butter in a water bath. Then, the boys had to crack and beat the eggs and sugar. Then the boys needed to temper the eggs before pouring all the eggs into the butter and chocolate mixture. 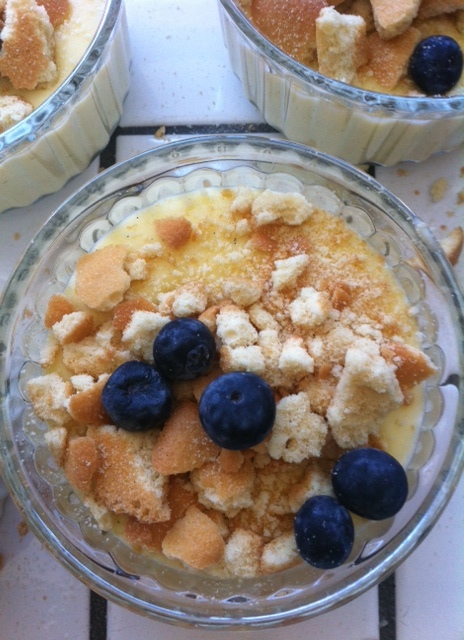 In addition, the boys had to butter and flour all the ramekins as well as preheat the oven. It was so much fun to watch the boys put this altogether. Once the cake finished baking we ate it immediately. It tasted amazing. The boys were so proud of themselves. Nico was so excited in the kitchen he couldn’t stop singing in his operatic voice. It was crazy fun. The most important thing is the boys had to stop using electronics for at least 45 minutes during the prep period. So, it is okay to gently push your child into making a choice otherwise the child won’t learn what interests him/her. If my husband and I not made Nolan choose a camp, he would have wanted to sit in his room all day. This would not have been acceptable to me or his dad. Yes, summer is for relaxing but it is also for exploring new interests. I realize now that it is ok for your child to be bored. Last week, on 4th of July, my husband and I decided to run in the local race in our community. After the race we showered and flopped down on the bed. We checked in on Nicolas, he was fine playing his Gameboy 3D, so we took a nap. Before taking this nap we explained clearly several times that we were leaving at 5:30 to head down to the football stadium for the concert and firework show. We even explained to him that the Gameboy was going to stay home. He seemed to understand. Seemed is the best word to describe it! About 30 minutes before we needed to leave, we gave our warning and reminder to Nolan that it was time to go to the field. We told him the time we needed to leave. He said, “okay, got it!” Upon leaving, Nolan becomes flustered. He said, “you never said anything about leaving and going to fireworks!” And the drama begins. We reminded him that we did tell him however, he probably didn’t listen carefully. After several minutes of “you didn’t tell me!” and our response of “yes we did, you didn’t hear us”, we finally jumped in the car and headed down. I noticed the Gameboy in the car. I told Nicolas this was family time and the Gameboy needs to stay in the car. He seemed okay with the idea of leaving the Gameboy in the car. Once at the football field, we sat down on the 30 yard line. We had a great view of the stage for the concert. My husband and I were so excited. The English Beat played. It brought us back to our high school days of social awkwardness and ska music. Anyway, the band wasn’t going to be on for another hour. So we sat, relaxed and waited. However, Nolan couldn’t get his mind off that G in the car. The tantrum had started. He began screaming, “you call this family time? we aren’t even talking. We are just sitting here. Why can’t I have my Gameboy? There is nothing to do.” Our response was simple “we are spending time together. If you want to walk around and look for friends from school, go walk around. However, the Gameboy stays in the car.” The evening escalated to the point where he was scratching at the Astroturf trying to dig a hole. Good luck with that! My husband and I decided that he really wanted negative attention. We were not going to engage. We made a decision and we were sticking to it. Finally the band came on and David and I hit the dance floor like it was the 1980’s. We were not going to let Nolan’s teenage tantrum ruin our night. This entire scenario was really our fault. We have indulged Nolan with this Gameboy 3D since he was younger. We knew that anytime he was bored all we had to do is whip out this contraption and presto Nolan would no longer be bored. Hind sight being 20/20, I realize this was not the best solution. So, what are we doing about this situation now? Well since the teenage tantrum, we have removed all computer appliances. They are being kept in a secret location to protect the innocent. When Nolan earns his game time, he only gets one hour per day during the summer. He can even earn bonus time of another 30 minutes if he visits with guests or is helpful around the house. It really is perfectly fine for children to be bored. This is when they must learn to converse, create, and learn patients. If they aren’t bored from time to time, than children might grow up to be adults who think there is always instant gratification and he/she must be fully entertained at all times of the day. This is not the reality. For our house, we have put the brakes on these electronics. We have begun using the public libraries and neighborhood pools and beaches more. We have required Nicolas to pick camps for the summer so he isn’t sitting at home all day. Posted on July 9, 2012 August 9, 2012 Categories #aspergers syndrome, #aspergerteen, #aspergerteens, #emotional, #mothers stress, #teenager, emotional issues, teenage stressLeave a comment on I realize now that it is ok for your child to be bored. Here is a blog that I follow. This is from Bambi Thompson. She is an Anxiety Transformation specialist. Here is a link below. ADD and Anxiety Rescue Remedy. If our son wants to take an exam in the general ed setting, so that he gives the appearance of a regular student, then fine. However, he should be allowed to retake the exam if he fails. He should not be penalized because he is trying to find his way in the mainstream classroom. Just so everyone is aware, my son does study for his tests, but usually fails because of his anxiety and other related issues. The school is not willing to provide support for him when this situation occurs because it is inconvenient for the teacher. So, the message from the school to my son is, “It is okay to fail and no we won’t help you.” This is so encouraging. NOT!!!!!!!!!! It is depressing. It is ridiculous. Where is the accountability? Where is the understanding that the IEP is a contract between the district and our family to provide support for the students with disabilities? In my school district where I work, the teachers collaborate and would find a way to make the accommodations work. At the school, where my son attends, the Special Ed. Dept. is afraid to ruffle feathers and do their job. This Special Ed. Dept. needs to advocate for the exceptional learners with IEP’s. The IEP’s are in place so these kids will be able to be successful in the least restrictive environment. THIS IS THE LAW!!!!!!!!!!!!!! FOLLOW IT!!!!!!!!!! !